Commissioned by Vodafone, in Vodafone McLaren Mercedes Team Racing players get to enter a F1 race as Lewis Hamilton or Fernando Alonso and run in three different locations (Spain, Germany and the UK). Players can practise the different tracks, run up a quick race or enter the Championship mode, which includes a qualifying lap, followed by the full race against five other F1 drivers. The game offers three difficulty levels and additional elements such as speed boosts to improve race times and pitstops to increase them. 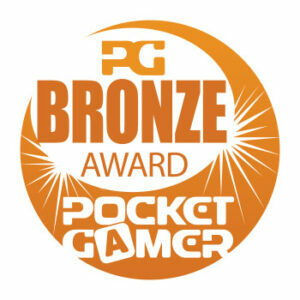 Vodafone McLaren Mercedes Team Racing won a Bronze Award at the Pocket Gamer Awards 2007. Vodafone McLaren Mercedes Team Racing is a fun arcade-style take on Formula 1 that junks the po-faced realism of most F1 games in favour of racing thrills. (…) this game will confound the expectations of many F1 fans in a good way.